Quick Texas Tour This Weekend! After a few months home with my kiddos, it’s time to make the donuts (and bring some pepperoni!!) to all y’all out in Texas. I’m really excited to be hitting the road with Joe and Tommy for this trip and am looking forward to seeing everyone out there. 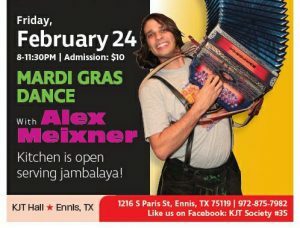 The first stop will be on Friday, February 24 at the KJT Hall in Ennis, TX where we’ll be celebrating with Mardi Gras complete with the Czech kitchen’s Jambalaya. (It was really good last year so, I expect it to be awesome again this year). We play from 8-11:30 pm in the barroom, so it’ll be a cozy rocking time! 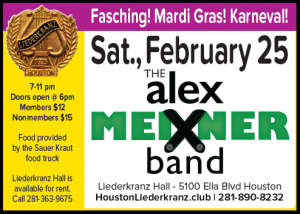 Saturday, February 25 brings us back to the Houston Liederkranz where it’ll be Fasching! Mardi Gras! Karneval! 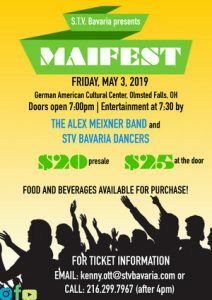 Last year’s gig here was a blast with a fun dance crowd, a great bar and the Sauer Kraut food truck! We play from 7-11pm so they’ll be plenty of time to cut a rug and rock out with us. 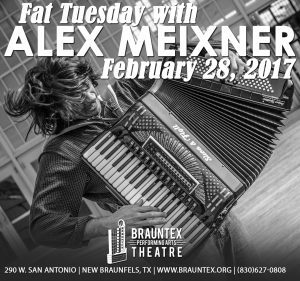 Of course– Tuesday, February 28 is Fat Tuesday— so that means The Alex Meixner Band will be doing it’s annual Fat Tuesday Concert at the Brauntex Theatre. Last year’s concert was captured as our first live recording on CD and DVD- “You Asked for It”. The CD/ DVD and a CD only version will be available on all of the tour dates (as well as in the online store). 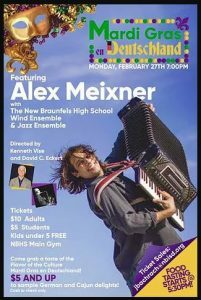 For this year’s show, I’m really proud to announce that 2 Time Grammy award winning Tejano accordion superstar, Sunny Sauceda will be jamming with us as well as New Braunfels native (now Nashville-based) country singer/ fiddler, Catie Offerman and our very dear vocalist friend Yesenia McNett. 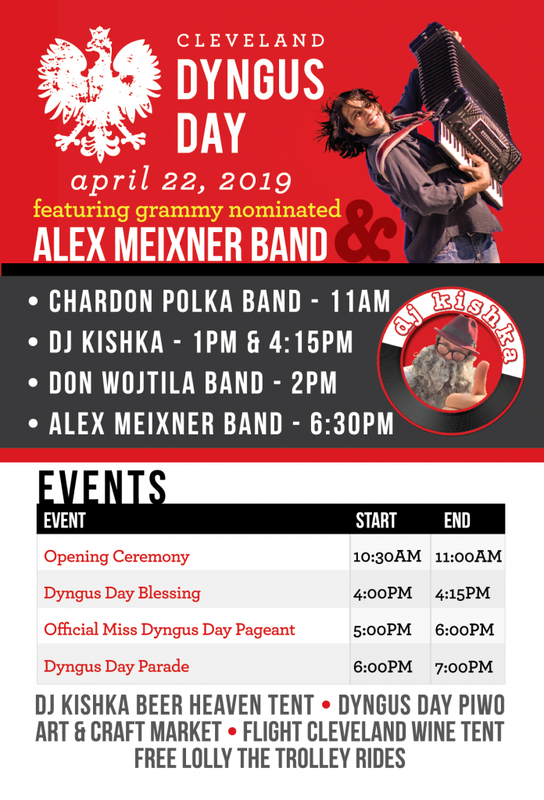 The music will be fun for us on stage and those of y’all in the audience. Please join us, as I know it will be a special night.